This software and drivers download pack for HP LaserJet Pro 300 Color MFP M375nw Printer.This full software solution provides print, scan , and pc send fax functionality. 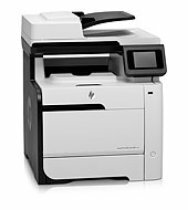 HP LaserJet Pro Series Full Solution Software and Driver Download. HP LaserJet Pro 300 Color MFP M375nw Firmware Update Utility. HP LaserJet Pro 300 Color MFP M375nw Full Software and Driver Download for Macintosh v10.5, v10.6.